I had a really fun morning yesterday as I mooched around the beautiful stalls at the Outlaw Craft Fair in Bristol. Hosted in the Passenger Shed just next to Temple Meads train station, the huge hall was a bright and cheery venue, with plenty of room for workshops, demo theatres and cafes. Originally based in Cornwall, this was Outlaw’s first event in Bristol (in fact, it was their first event outside of Cornwall), and they made a brilliant start. Workshops included Lampshade Making, Brooch Making and Screenprinting, and there were numerous demos to watch such as How to Make a Terrarium, Dress Making Tips and Creative Business Advice. Plenty to inspire and keep those creative cogs turning! My favourite element was meeting all of the lovely makers and designers, and admiring their wonderful wares. The calibre of work has fab from stall to stall, and the creativity behind the branding and layouts of their displays was so fun and imaginative. I had to seriously restrain myself from not spending my entire month’s wages, but I’ve certainly bookmarked a number of items to go on my Wish List! Fab and dazzling acrylic jewellery with a graphical edge with a three dimensional twist. 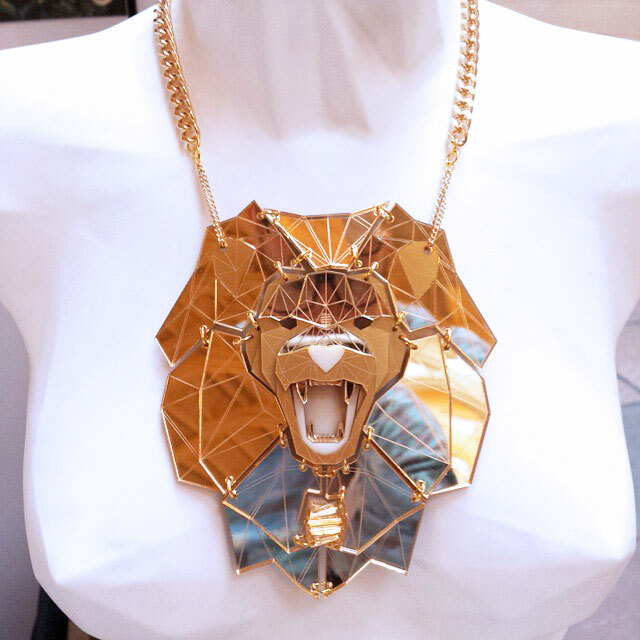 Definitely eye catching pieces with popping colours and metallic mirrored materials. The Gold Mirror Bunny necklace is firmly on my shopping list. 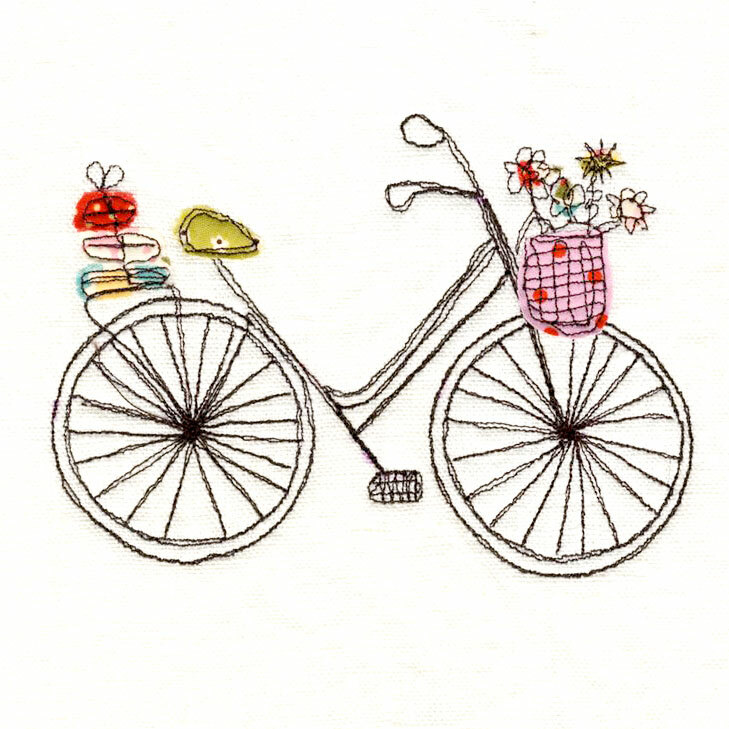 Seriously pretty freehand embroidered gifts and homewares. 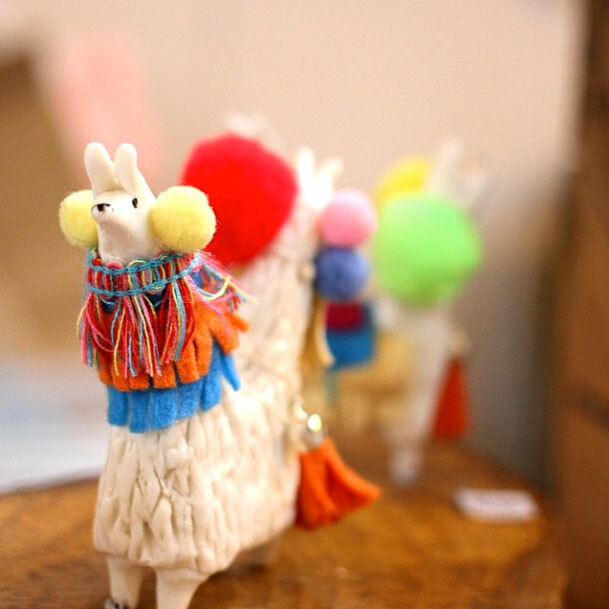 Playful and sweet designs with upcycling and recycling at its heart. 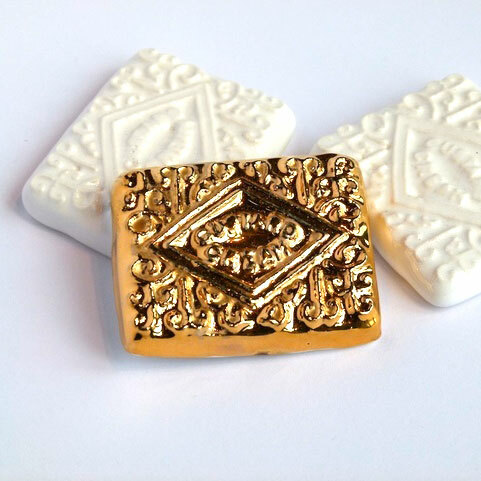 Porcelain biscuit brooches with a real gold lustre – delicious! But on a more serious note, Laura uses ceramics as a canvas to discuss social issues from illegal goldmining and climate change to local stories and folklore from Cornwall. 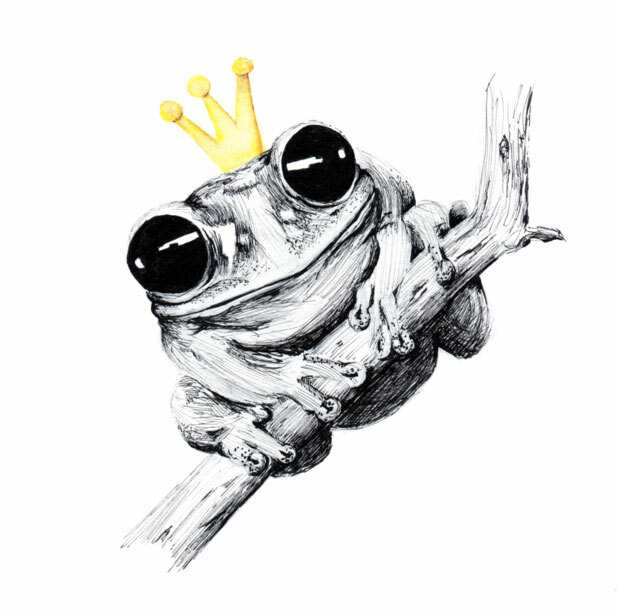 Taking doe-eyed cuteness to the extreme, these dreamy watercolour prints of quirky wildlife will leave you wanting to adopt them all! FUN FUN FUN! Hand drawn porcelain, textiles, pin cushions, jewellery, free hand machine embroidery, cards, cake bunting, vintage and up-cycled! I’d love one of their cute hedgehog pincushions! 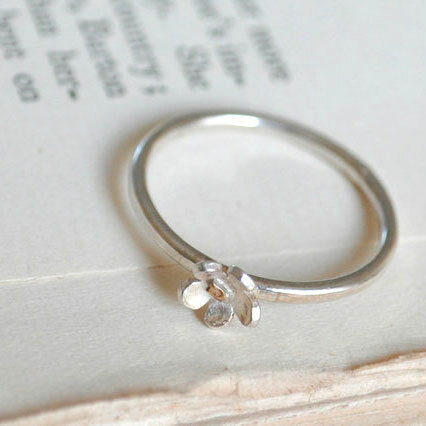 Intricate and dainty sterling silver and gold jewellery handmade in Bath. Really beautiful. 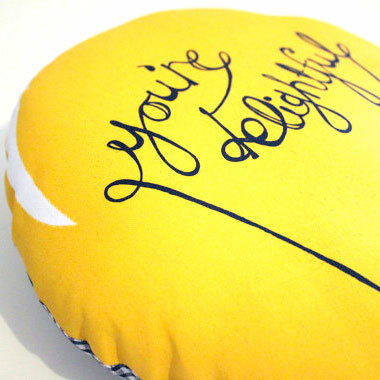 Quirky screen printed goodies by textile designer, Helen Smith. Love her screen printed Monster Foot Cushion! 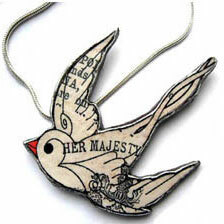 Handcrafted kitsch nostalgia and victoriana jewellery incorporating drawings with found ephemera such as books, newspapers and home-made papers. A wonderful mixture of surface patterns and design. Just lovely.